Right let me think. 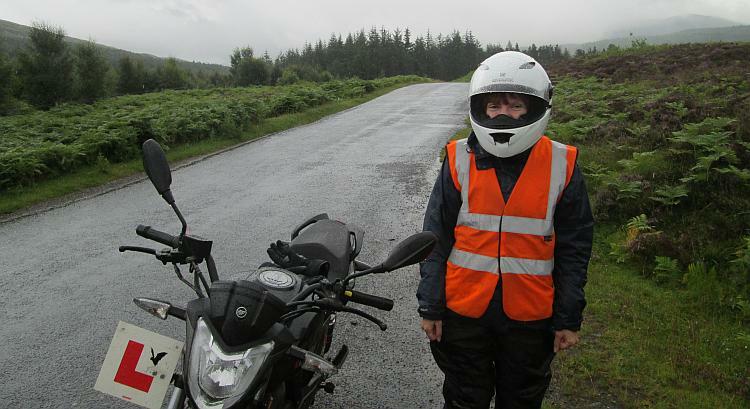 Sharon purchased Zen the Keeway 125 in 2013. It would have had it's first MOT in 2016 aged 3, 2017 it would have been 4 so this time round it's now 5 years old! This also means Sharon has been riding motorcycles for 5 years. Sharon - don't be giving myself or the BAT readers any nonsense about being a "novice" any more. 5 years and what, 35 to 40 thousand miles takes you far out of novice territory. It's time to accept Sharon is no longer a Greenhorn, she's the real thing now. Sharon offered to sort out Zen's MOT herself due to some complicated logistics. Thankfully I knew this wouldn't be a good idea. Sharon is very very VERY good with maintenance. Not necessarily the ACT of servicing the bike although she's coming along well, but in terms of CHECKING the bike she's spot on. 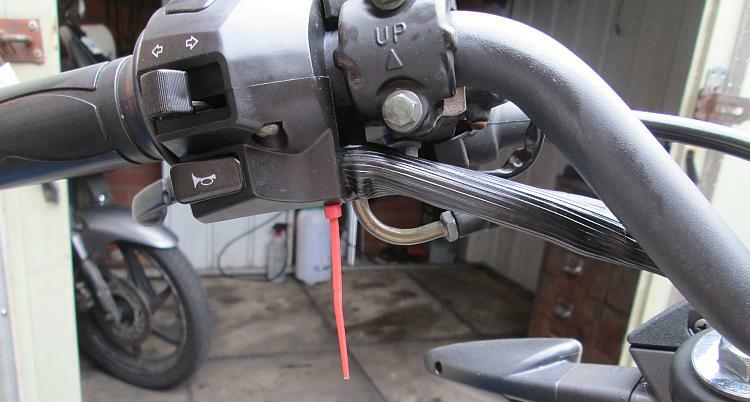 Every ride there's pressure checks, light checks, level checks, visual inspections and chain lubrication. If anything at all feels, looks or sounds wrong she might not know exactly WHAT the problem is but she'll always at least ASK. She's on the ball with the car too. While not an expert mechanic she's at least smart enough to CHECK and ASK. She does have one gaping blind spot it seems. The horn. In a car the horn typically sits in the engine bay. Hopefully it will be behind something like the radiator or a light or a wheel arch as this keeps it protected from the worst of the weather. As such they tend to last a very long time and require no maintenance. 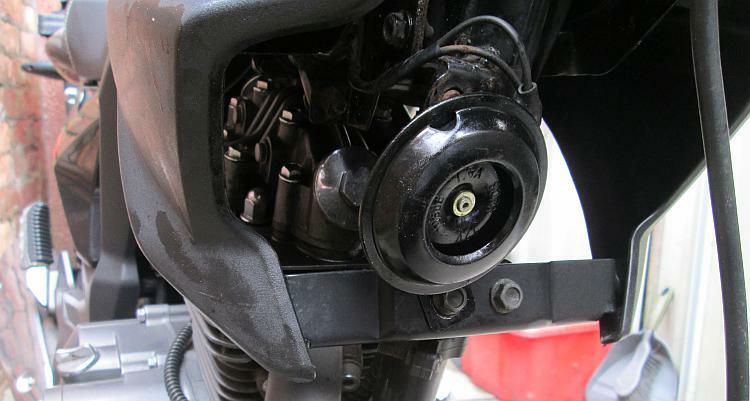 Motorcycle horns are often placed in front of the engine and are exposed to all the elements. As such they rust, get filled with dirt and generally have a much harder life than their car based counterparts. It's a hard life being a motorcycle horn. Save for relocating the horn somewhere better protected (which may render it less audible and motorcycle horns are often pathetic at the best of times) there's little you can do. Luckily they are dirt cheap and easy to replace, they can be considered a service item. I do have a theory. An unused horn is more likely fail. I guess the moving bits inside seize up if they're not used. Please don't use this as an excuse to go blasting your horn at all and sundry as though you're riding through Delhi. I mean when you are far from civilisation and other road users give the horn a couple of toots. In the privacy of your own shed a rag held firmly over the horn will deaden the sound so you don't annoy the neighbours. Sharon is obviously far far far too polite a motorist to go blowing her horn just because some buffoon cut her up. I know this because this is the second time I've been about to take her bike for MOT to find the horn is not (bloody) working. She'd know this if she used it (or checked it). 2 years ago just before the MOT we'd booked I checked the horn. Nothing. 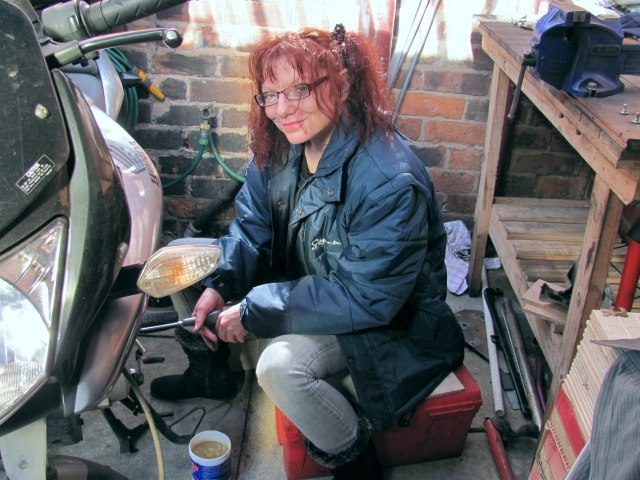 I ended up putting the horn from my 125 on her bike, getting it through the MOT then she sourced a replacement. I'd best take the bike for MOT this time just in case. I press the button - "Bee...". Then nothing more. I ride the bike back to my place and the horn is working, then it's not. Then working. Then not. This time I suspect it's not the horn but the switch - horns either work or they don't. Squirt WD40 inside. Works. Doesn't work. I'll have to strip the switchgear. Urgh, I hate switchgear it's so fiddly. Cheap Chinese bikes? This switchgear is every bit as well made and perhaps even better laid out inside than the Japanese stuff I've dealt with over the years. Still despite the quality and layout it still requires the dexterity and skills of a keyhole surgeon to take it apart. Urgh, I hate switchgear it's so fiddly. I clean the points of the horn switch when I finally dig deep enough to get them out of the housing. I check the horn. Nothing. I check the wires. They're OK. I short out the wires bypassing the switch. Nothing. Hmmmm. Oh god. I said "horns either work or they don't". I am an idiot and I am wrong. 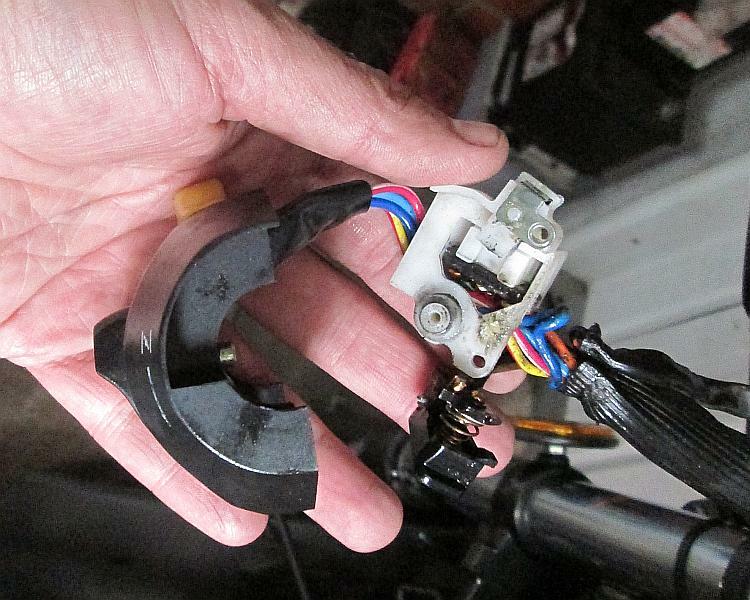 I pull the horn off my 125 and plug it in. "BEEP!" a reliable, crisp and constant beep emits on every button press. It's not the switch it's the horn. Please insert your own selection of unpleasant words here. Taking the switchgear apart was fiddly. Putting it back together requires the skills of a keyhole surgeon who is blind, has no arms and performs surgery with his feet. While wearing his shoes. Doing a quadruple bypass. On a fly. In Space. You get the idea. Sharon will NOT be happy I used a red zip tie. I leave my horn on Sharon's bike and take it for the MOT. I'm disappointed when the tester gives the shortest, slightest tap on the button. After all that work he neither notices or appreciates my efforts. Still, everything is fine and we have a pass. I return my horn to my 125 and douse Sharon's horn in WD40. I should have done this first rather than the switchgear as after a damn good whack it returns to life with vigour. Ren, This is the consequence of progress. 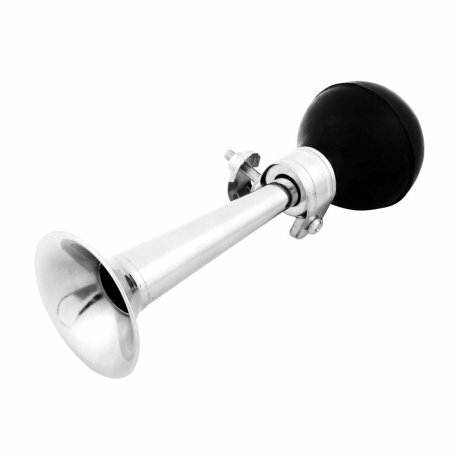 My mate owned a 1928 flat tank BSA and this had a horn which had a squeeze rubber ball attached to a horn/trumpet, he never had any problems with this type of horn. I know the type of horn you're talking about - HONK HONK! I'm not entirely convinced Sharon will accept me fitting one of these to her handlebars. You know how she is about "style" and "looks" and "goes with". Still, I've had a look online and they're cheap enough! The boy fitted one of them to his Grom. Every kid in the neighbourhood would come past to have a tootle on it. "I press the button - "Bee...". Then nothing more"
MZs and Jawas. 2 Strokes. You'll be addled from all that smoke pal. So it's you that's caused this recent dry hot spell is it? Come on CrazyFrog, get it off your chest, admit your shame. What 4 stroke do you own? It took me a while but...I think it's an MZ Silver Star? It too a bit of googling to get to this conclusion. Beyond the Rotax 500 engine at 500cc it appears to be rarer than rocking horse poop. I know nothing about this machine. Spot on Ren, a SilverStar it is. The Rotax is in low tune 35bhp military spec, but in a 250 chassis with an all up weight of about 155Kg, the performance is sprightly enough for me. It also does 70+ mpg on a run, and handles like a thoroughbred. It's VMCC eligible too, so VMCC runs are on the cards for my imminent retirement. 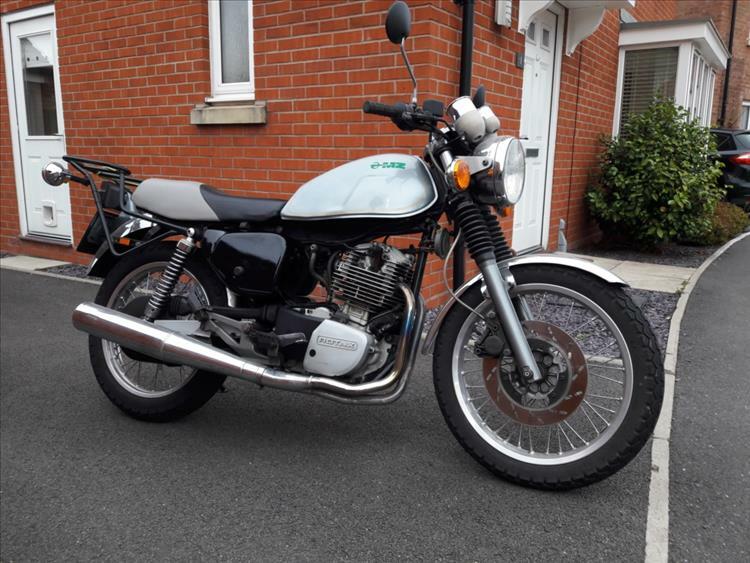 You're right about the rarity too, there were only ever 30 bought into the country as they were a stop gap before the appearance of the MZ Skorpion. I've looked into the MZ/Rotax/Harley engine. I am guessing they're all made by Rotax and the 350 and 500 are essentially the same? I wouldn't normally be a fan of the belt driven overhead cam but seeing just how ridiculously easy it is to access, check and change the belt I can forgive, perhaps even applaud it. I think it's time to let at least one of the strokers go. You're getting on a bit now and that kind of wild power is for yoofs not codgers. I can see you with your military spec Harley complete with beige canvas panniers and faux gun holder put-put-putting along a quiet country lane. It's the future doncha know, innit. Do you know Ian Hammond. MZ fan in Bolton, member of the owner's club? Runs an electric bike shop in Bolton, does a fair bit of scooter stuff too. Hi Ren, Maybe you're right, maybe it is time I put the raging 14bhp of the mighty MZ 150 behind me, lol. Yes, the Rotax is a good unit. The bottom end is essentially identical between the range (350, 500 and 640) and there are some pretty wild cams available that the MX boys used to use so you can tune them up quite well, if that's your thing. I've got a lot the special tools as well, which is why the HD MT350 appeals. The cam belt is a doddle to change, and it's a well engineered lump with the cam running on roller bearings rather than direct in the head like some Japanese bikes I could name. 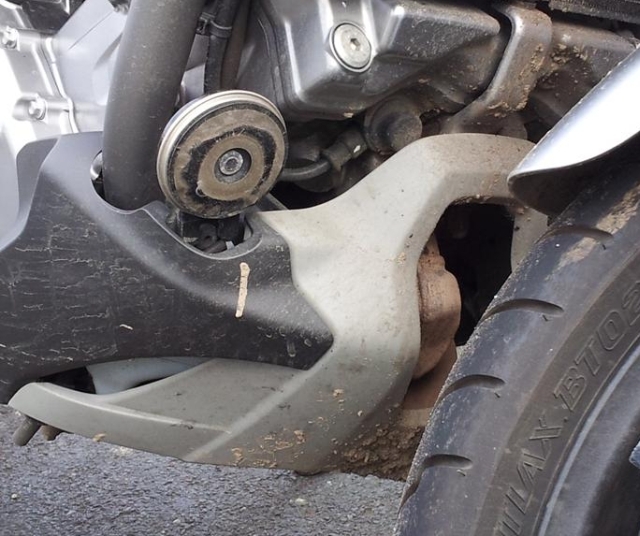 Their weak point is the starter sprag clutch, but again, it's really easy to get too, and best practice is to check it over and replace the spring every time you have the primary drive cover off. I know Ian Hammonds name so I may have met him at some time over the years. I run the website for the MZRC, so I may well have corresponded with him at some point as well. 14bhp you say! Yeah, way too much for you chappie. I struggle with the once was 11bhp now probably a bit less on the CBF125. What about longevity on the Rotax engine? Will it reach 75,000 miles like my CBF125? Which does run it's cam direct in the head. I've heard of several Rotax engines doing over 100k miles Ren, one that is even reputed to have done 150k. Running the cams in the head is fine (as you've proved) so long as you keep on top of oil changes. If the cams do pick up in the head though, you're bu@@ered unless you can get a machinist to fit some bronze bushes for you. Actually, if I'm being perfectly honest with myself, 14bhp is absolutely fine for 100% of my riding and motorways too are no problem unless there's a headwind or long slope. You got me thinking now...will I get a Rotax 350 motor in the CBF125? It's gonna be fun getting the electronic fuel injection to work where the carb used to be.